JOALI Maldives is located in an island called Muravandhoo in one of the Northern atolls in the Maldives - Raa Atoll. There are two methods to travel to Joali, an approximately 40 minutes seaplane transfer from Male international airport, or a 35 minutes domestic flight to Ifuru Airport and 15 minutes speedboat transfers to the island. 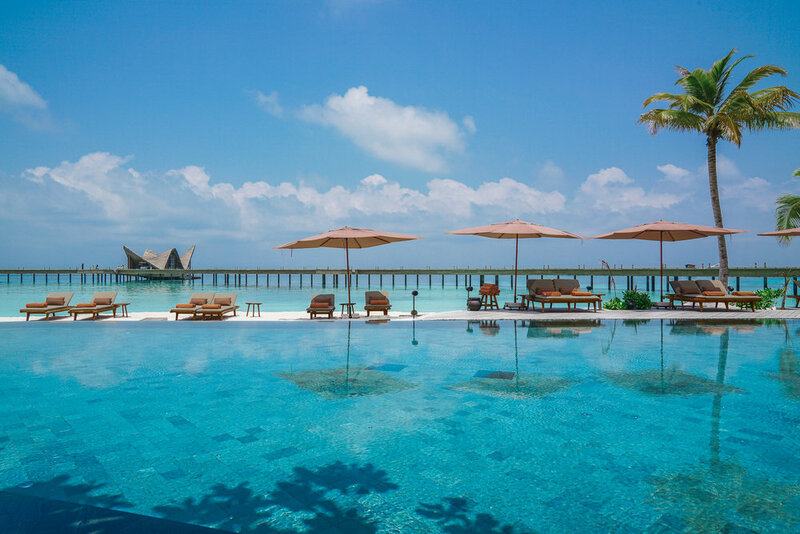 Joali was opened in late 2018, and it is known as one of the ultra luxury brands in the Maldives. Besides providing a luxury and comfortable space for a joyful living, Joali is also known for protecting its natural island beauty - over 1000 trees have been preserved when the resort was built. There are 9 different types of room types here at Joali Maldives, including 4 types of beach villas and 5 types of overwater villas. The smallest and most basic room here at Joali is already over 100 sqm and with total area space of 240 sqm, and the largest 4 bedroom Beach residence is a two story villa with over 500 sqm of indoor living space! 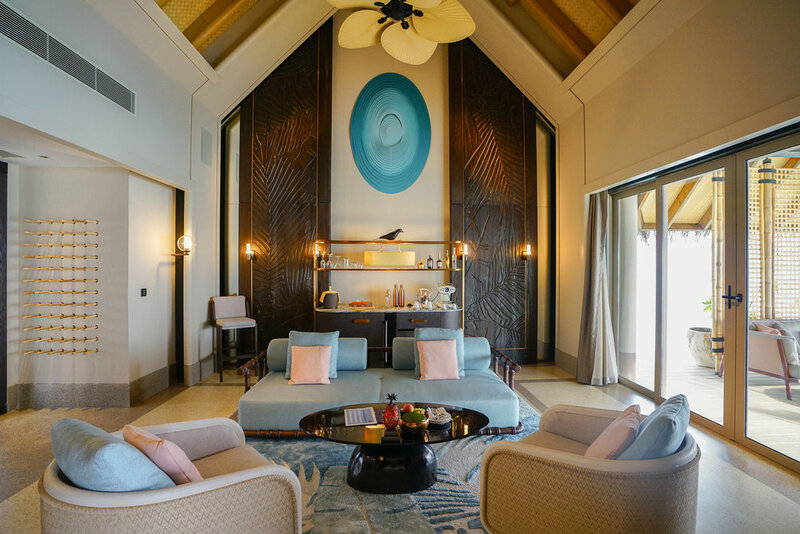 The interior design here at Joali is a fine mix between contemporary and bohemian luxury, many parts of the furniture consists a rose gold finish. The owner of Joali Maldives is from Turkey, and she enjoys collecting unique art pieces and furnitures around the world and brings them to the island. Upon arrival, a map of all the art pieces are provided so guests can explore and check them out around the beautiful island. My favorite art pieces around the island is definitely the two Manta Ray shaped lounge area, one of them is located on the beach, and the other one is placed as a treehouse! (See photo for reference). Joali Spa is also part of the globally known ESPA family that offers many different type of body massages and treatment that helps relaxes the body. There are different types of treatment rooms, some of which are located overwater and has an unobstructed view of the Indian Ocean. 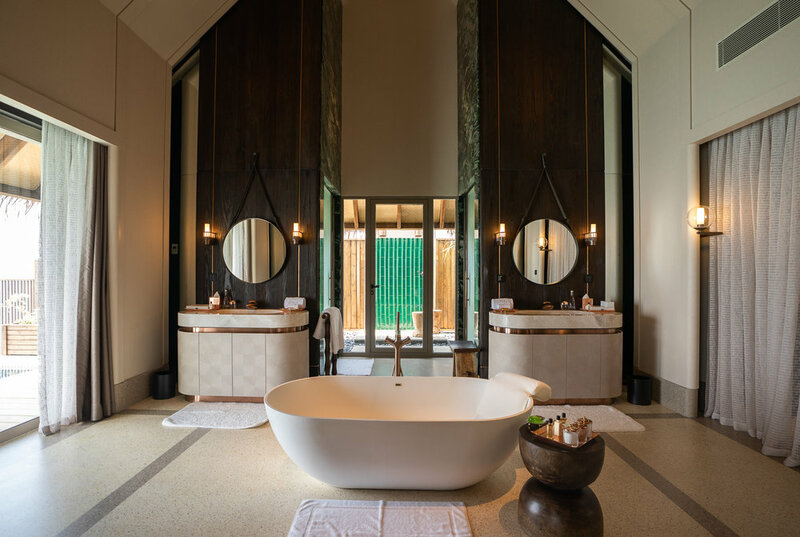 The overwater spa suites all have private steam room and sauna with an ocean view, changing room, living room space and outdoor relaxation area, curating the ultimately luxury spa experiences. On top of that, Joali Spa also offers Turkish Hammam, a purifying and refreshing ceremony that promotes well-being for body and mind. There are 3 main dining outlets at Joali, a bar, an ice-cream shop, and options for destination dining and personalized cooking lesson. Vandhoo, serves South East Asia, offering a fusion taste from Chinese, Mediterranean, and Levant cuisines. There are also weekly special theme dinners on the beach. Her Kitchen, a personalized culinary experience where guests can enjoy how to cook with local recipes and have fun! Saoke, an overwater Japanese restaurant that only serves dinner. The architecture design here at Saoke is done by world-renowned restaurant architect Noriyoshi Muramatsu, the entire restaurant is so beautifully lite at night (see photo for reference). Bellinis, an Italian fine dining experience that serves only at dinner time. 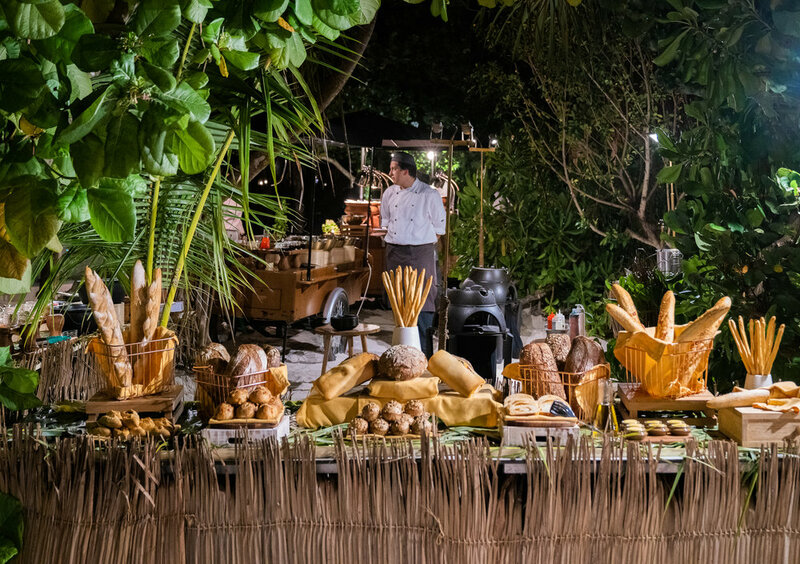 This is also where breakfast is served, with a selection of fresh fruits and pastries at the buffet and a carefully curated healthy a la carte menu, there are plenty of food options for guests to choose from!